Mahabalipuram, also known as Mamallapuram is an ancient port town located around 50 Km from Chennai off the East Coast Road. Established by the Pallavas around 7th Century AD, the town with its various monuments finds a place among UNESCO World Heritage Sites. The town is famous for mostly Rock cut monolithic temples and sculpture, the most prominent landmarks being the Shore Temple, Arjuna’s penance, Descent of the Ganges, Varaha cave temple and the Panchrathas. The monuments are built in different styles and depict the art of different periods. 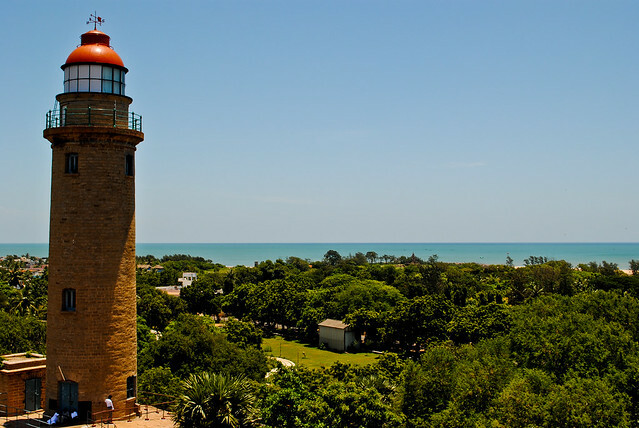 The town also has a Lighhouse overlooking the Bay of Bengal which remains open for visitors till 4 PM. Mahabalipuram is not directly connected by railways, the nearest railway stations being Chennai and Chengalpet. It is reachable from Chennai via ECR and OMR and from Pondicherry via the ECR. The distance to Pondicherry is 85 Km. Mahabalipuram, for its size, has surprisingly large number of places to stay, from budget to splurge. 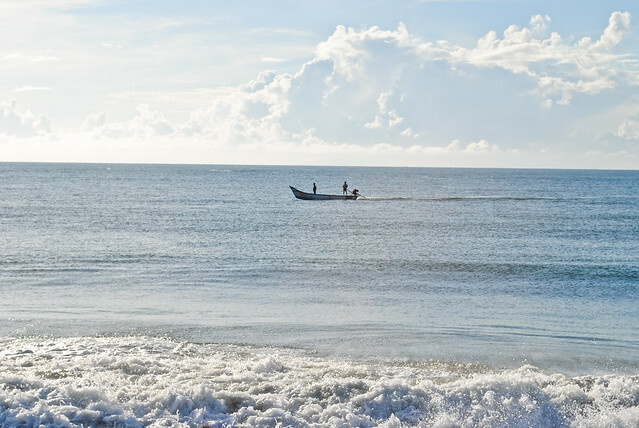 There are many resorts built along the sea with most modern amenities for lodging. The resaurents in the town serve all kinds of food, from Indian to continental. For vegetarians, Anand Bhavan, Golden Palate and A2B are recommended, for those who love continental, Sea Breeze, Nautilas, Moonrakers are the places to be. Le Yogi is another famous restaurant, but it has not allowed Indians sometimes in the past and hence is not recommended based on ethical principles. Our college was situated 10 Km from Mahabalipuram and so it happened to be the favorite hangout for us for one year. Any queries are welcome. Its a lovely place.. the beauty of man made and nature's wonder blend well in there..! @Deguide: Since Mahabalipuram is a small place, it should not take more than 2 hours on foot to cover the whole area frequented by tourists. However, since the Five Rathas and the other stone monuments close by about 5:30 PM, make sure you make it early. There are some good places to stay in Mahabalipuram. I will recommend Sea Breeze, which has a good restaurant too.